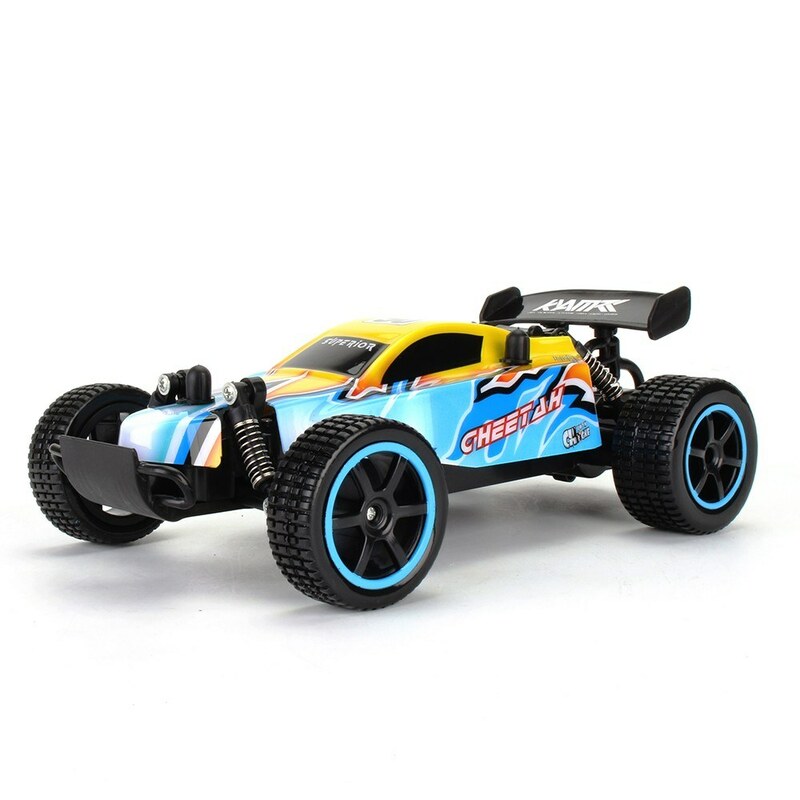 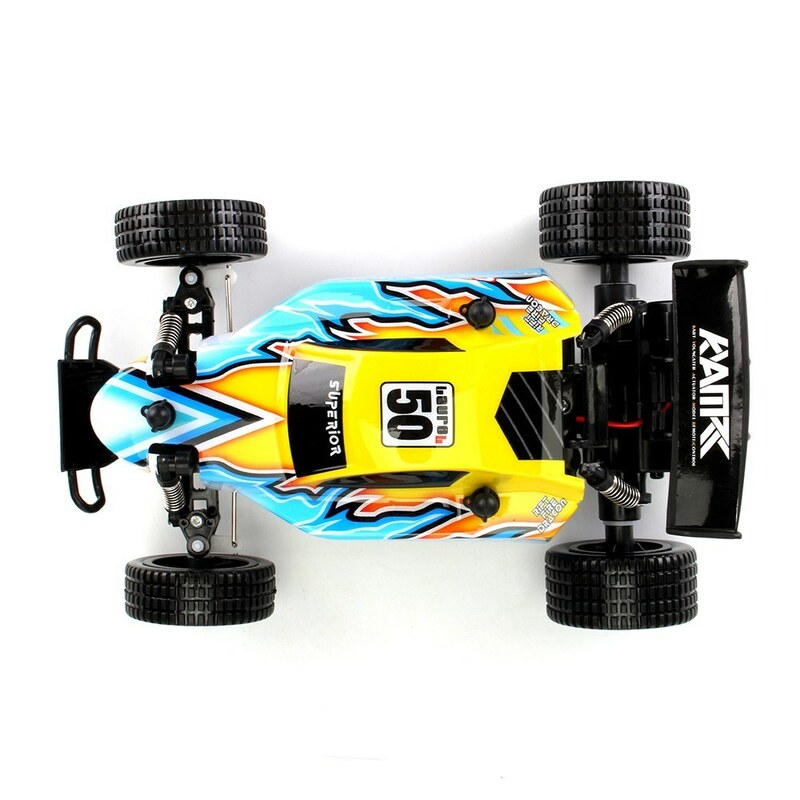 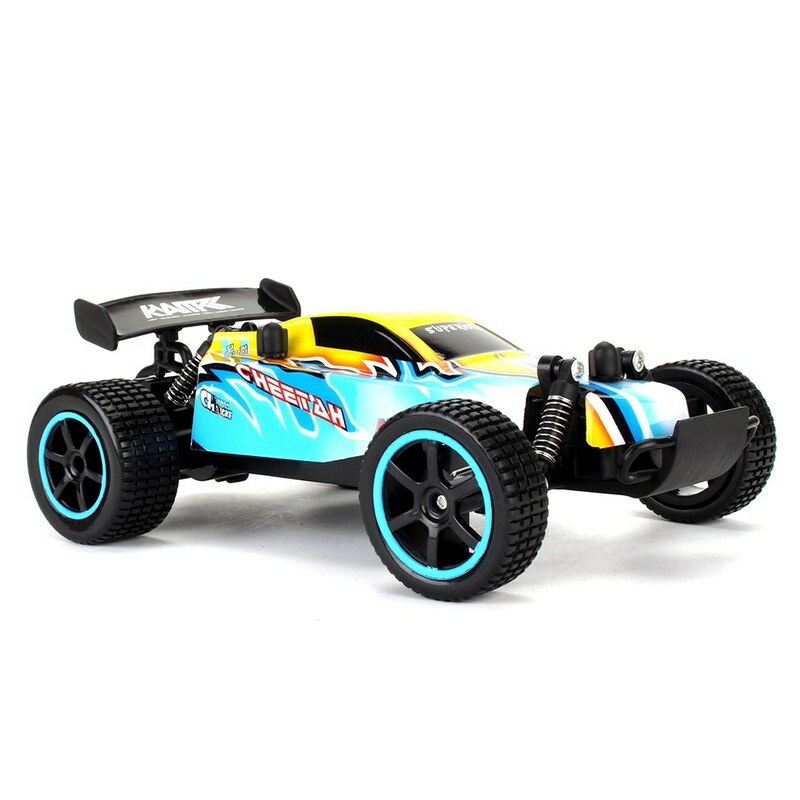 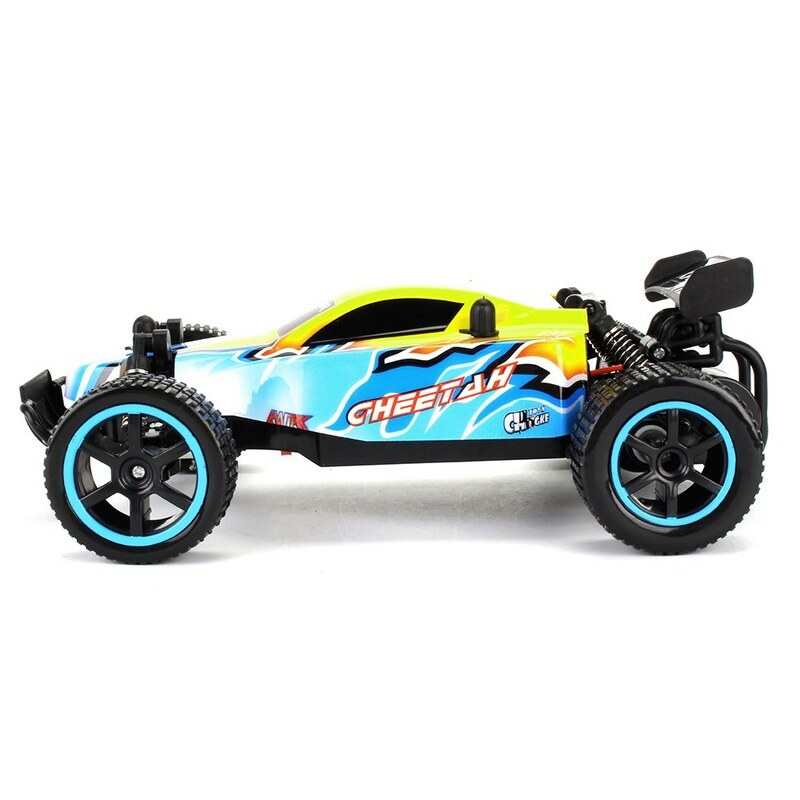 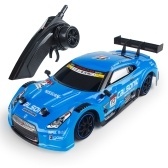 Here comes with the all-new 1/20 RC Racing Drift Car! 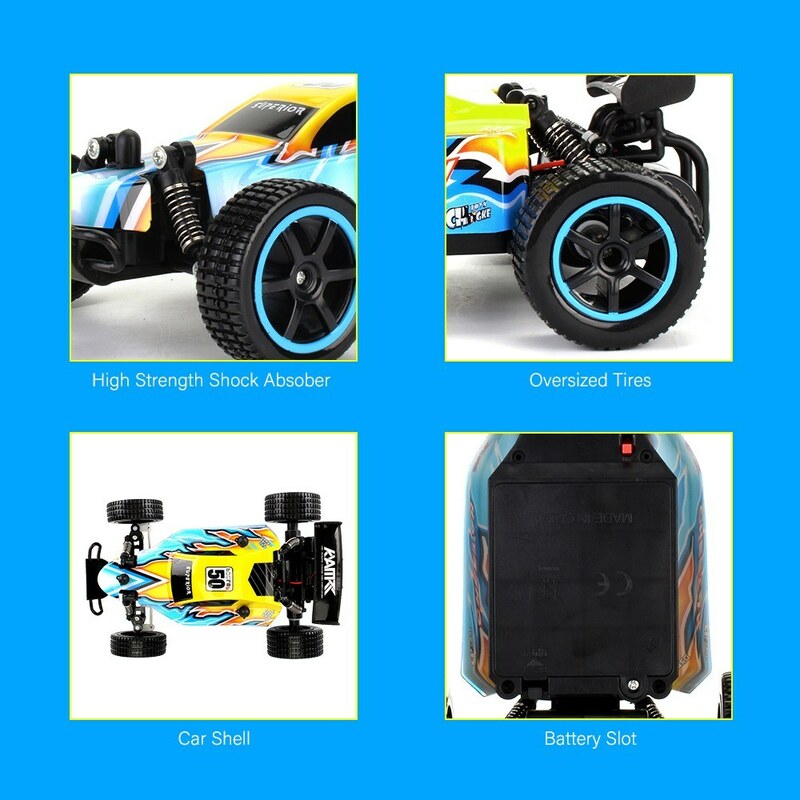 It is the perfect gift for your children, extremely portable. 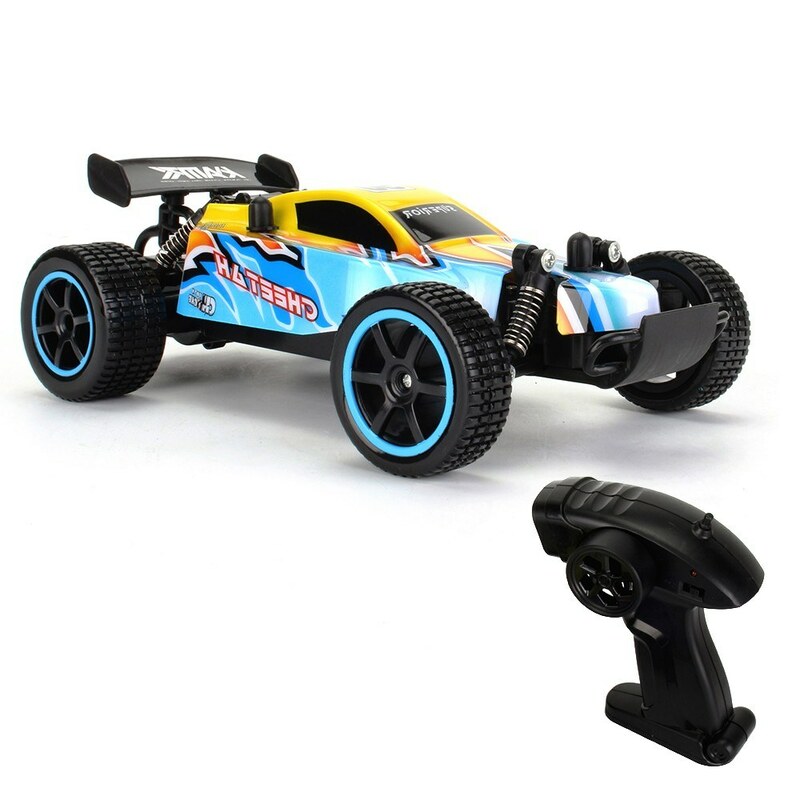 It high speed can reach 12km/h. 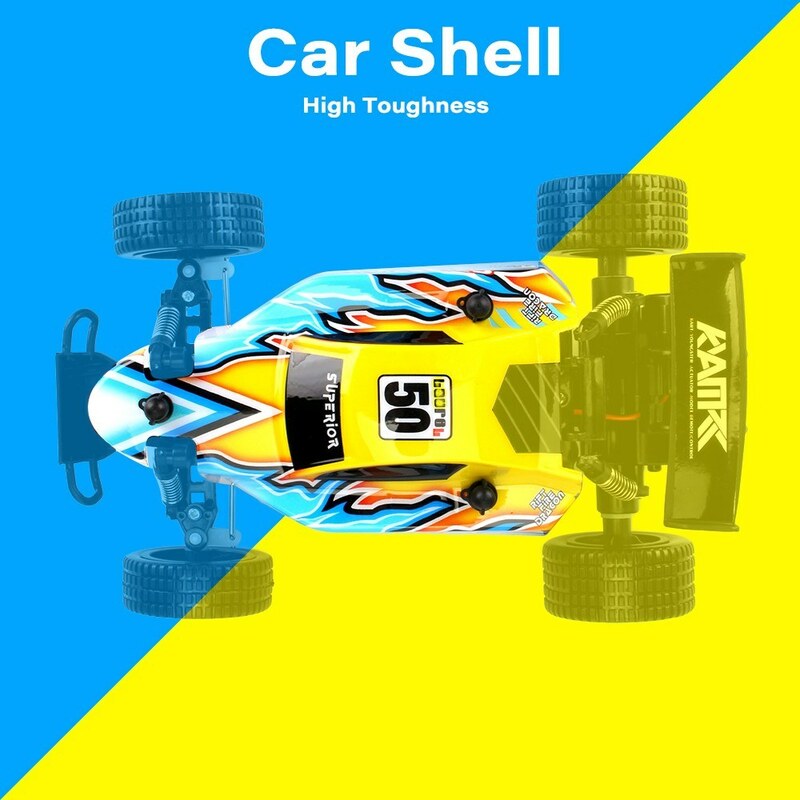 This vehicle features lightweight and high performance wheels! 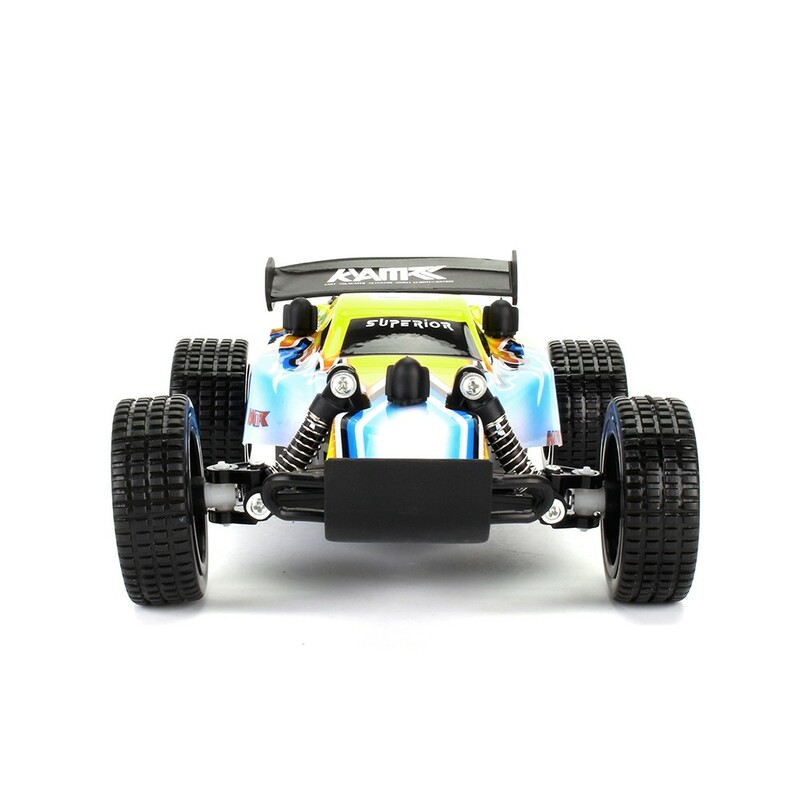 Now the car is completely ready to run. 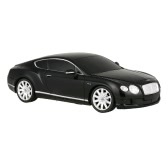 So don't hesitate to take it home! 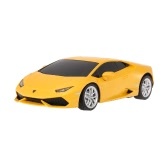 Function: The car can run forward/backward and turn left/right. 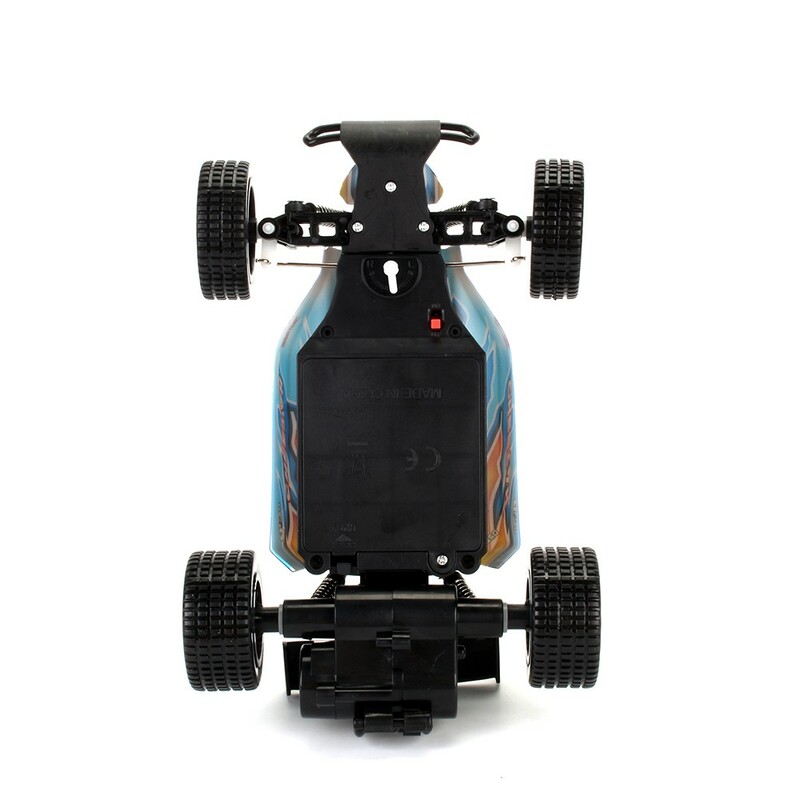 Car body is made of high quality plastic and metal materials, which is safer and healthier. 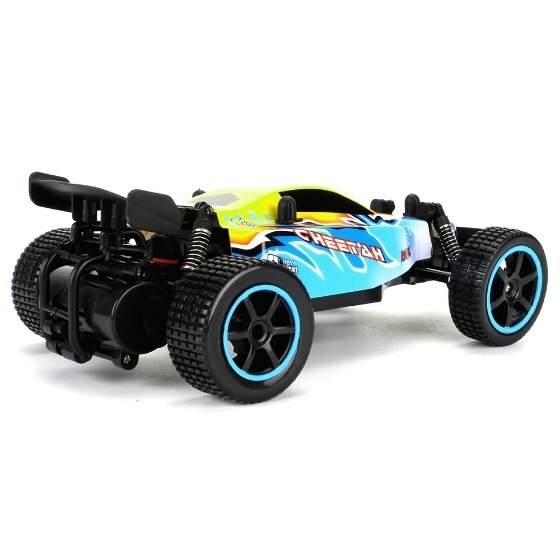 Its surface adopts healthy paint spray materials, moisture-proof and will never fade. 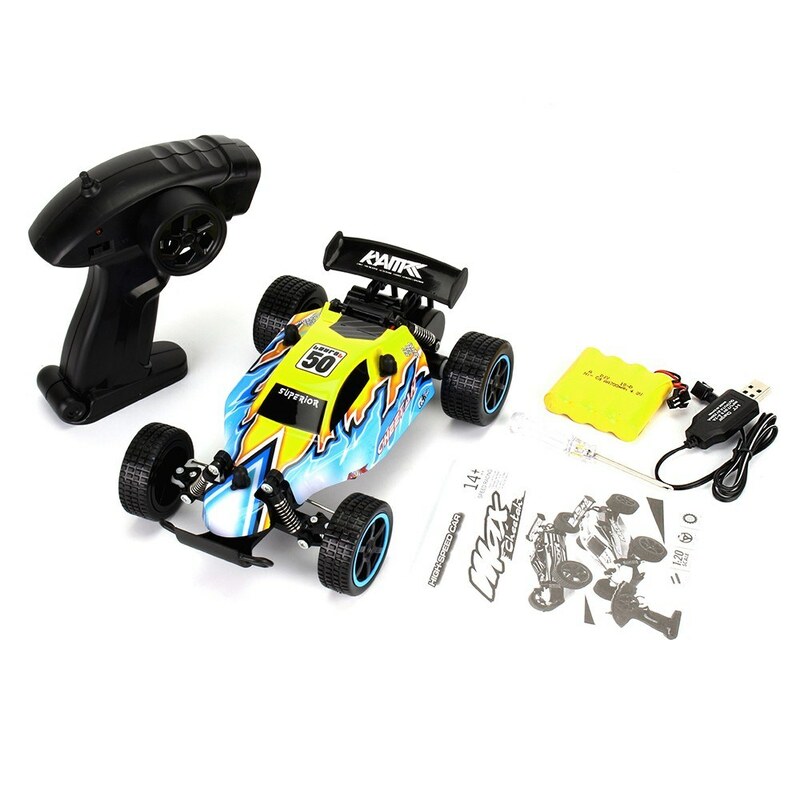 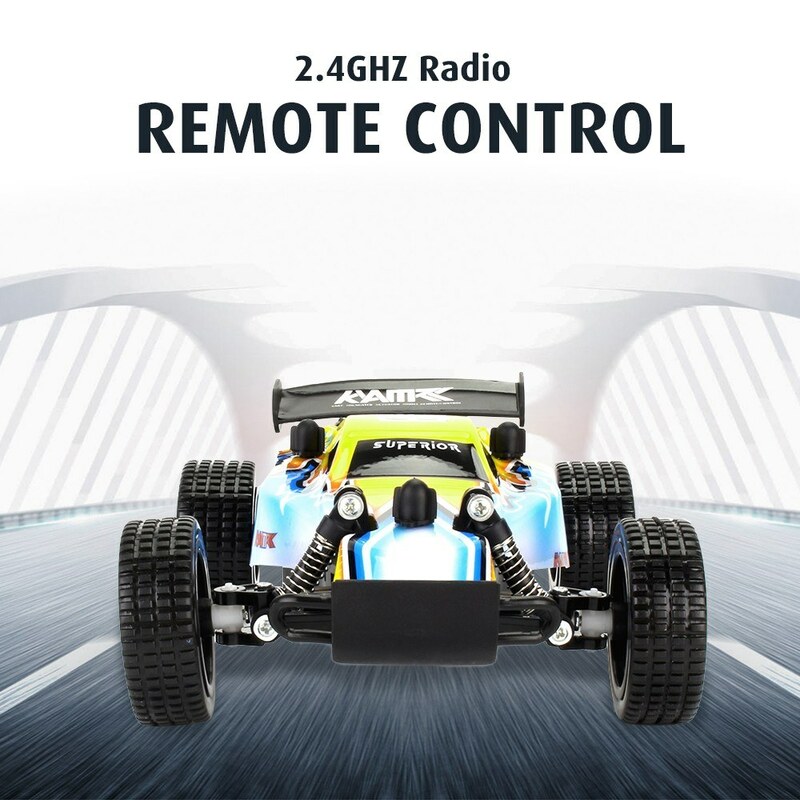 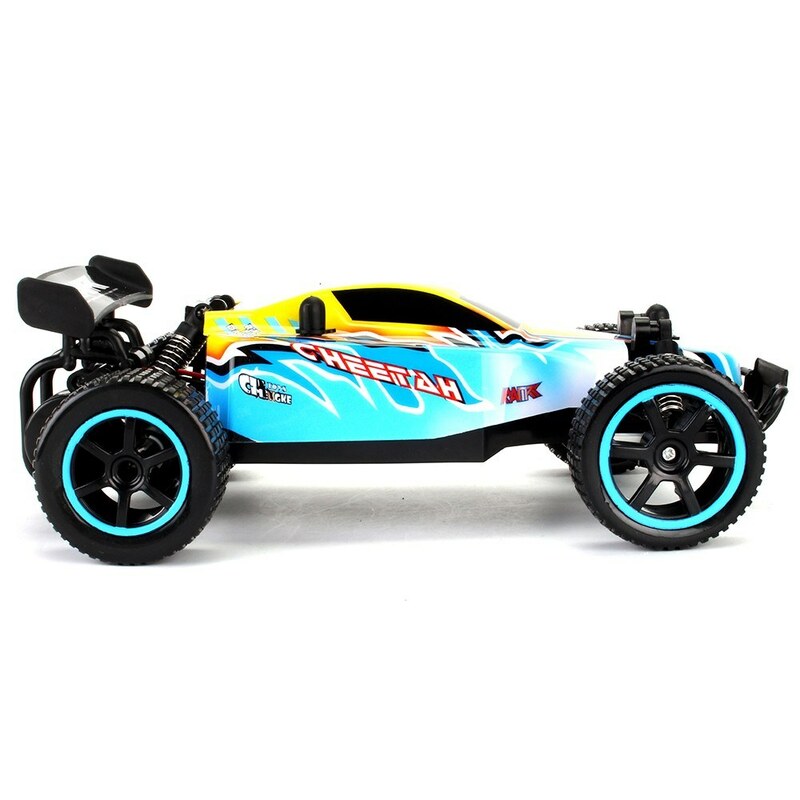 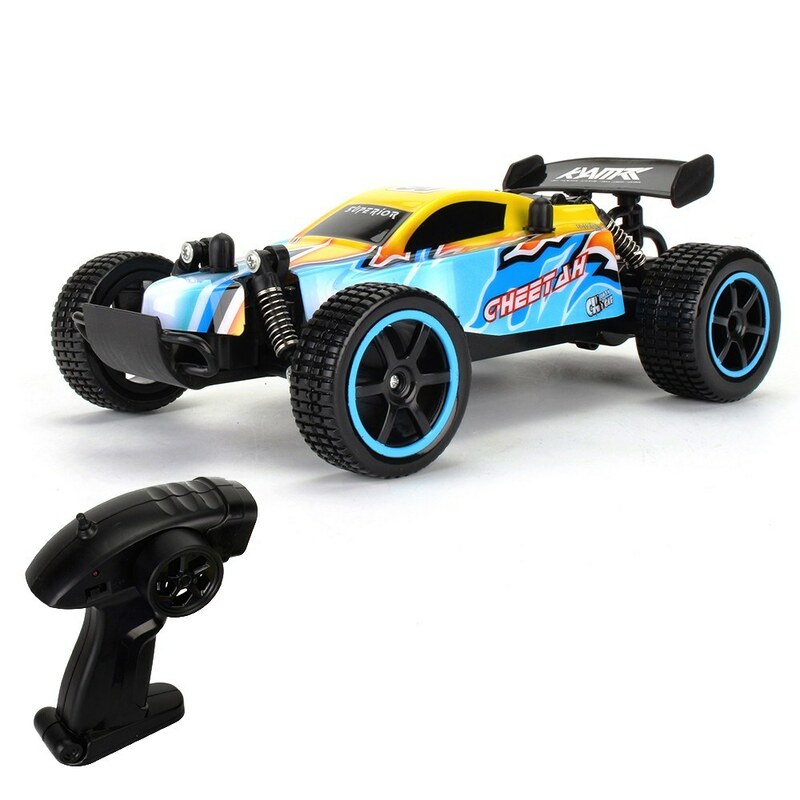 With 2.4 GHz radio remote controller, you can freely and control the speed and directions. 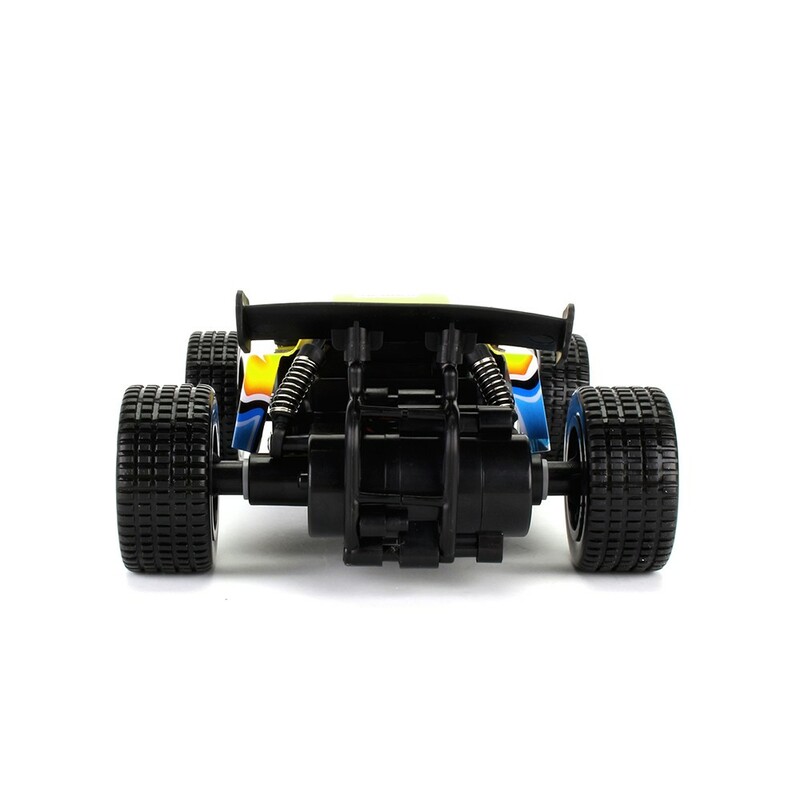 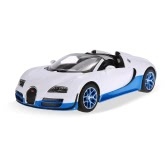 Perfect toy to help children explore the field of automotive technology and develop brain. 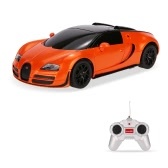 Charging and Running time: 2.5 hours will fully charge, running about 10mins, 12km/h racing speed. 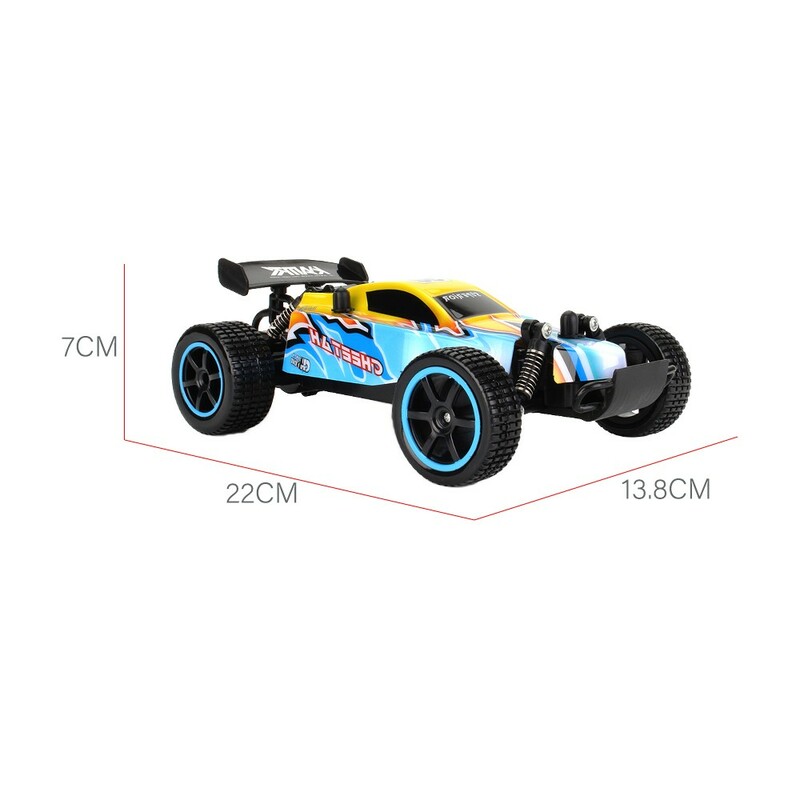 This RC car is not suitable for children under 6 years old. 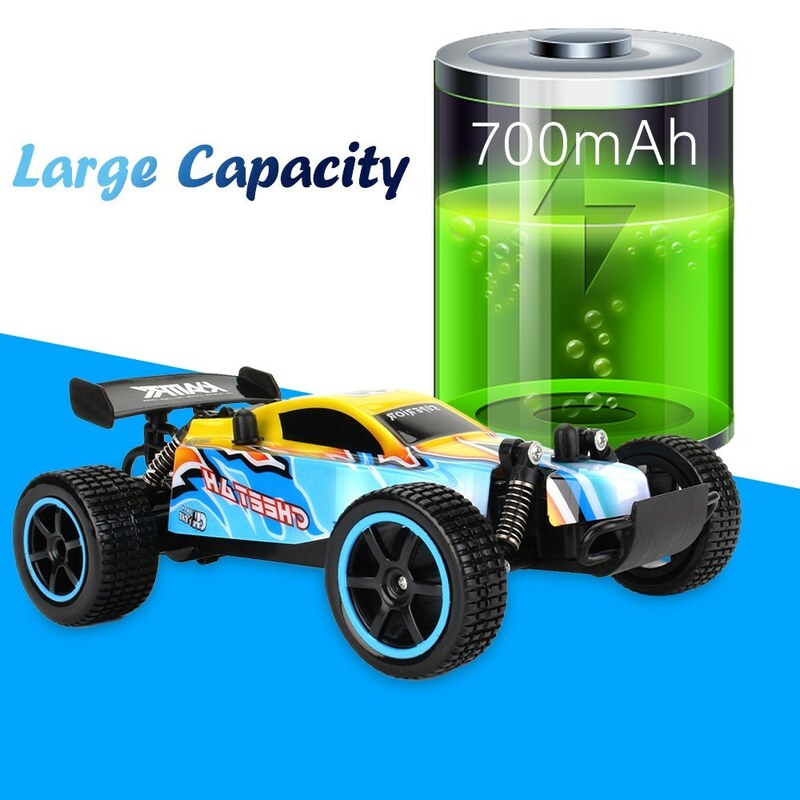 Caution for the car: Don't over-charge, or over-discharge batteries. 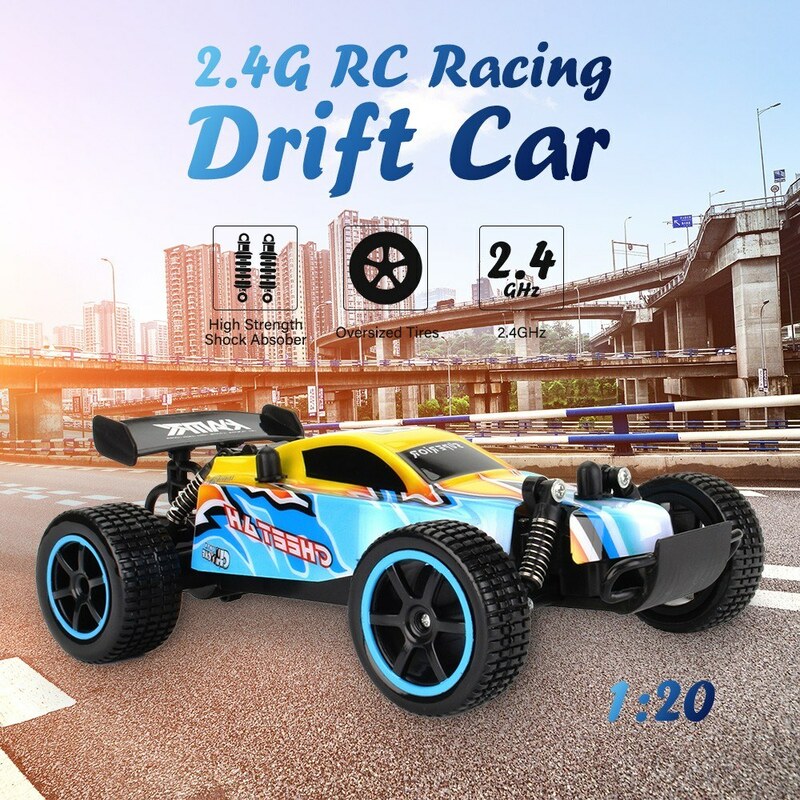 Don't put the car beside the high temperature condition.